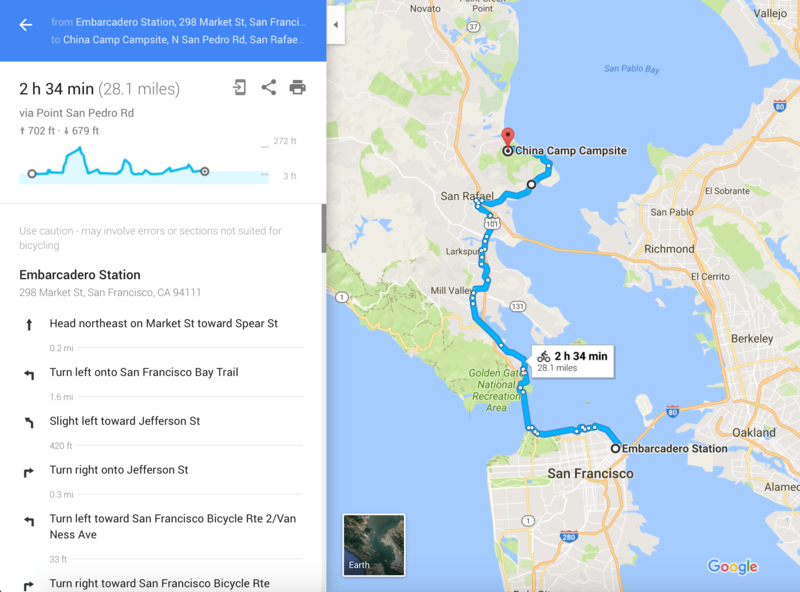 I always knew I would love bicycle touring, but now I finally had the opportunity to prove it. I’m all about human-powered transit whether it be running, bicycling, skiing, backpacking or something else. 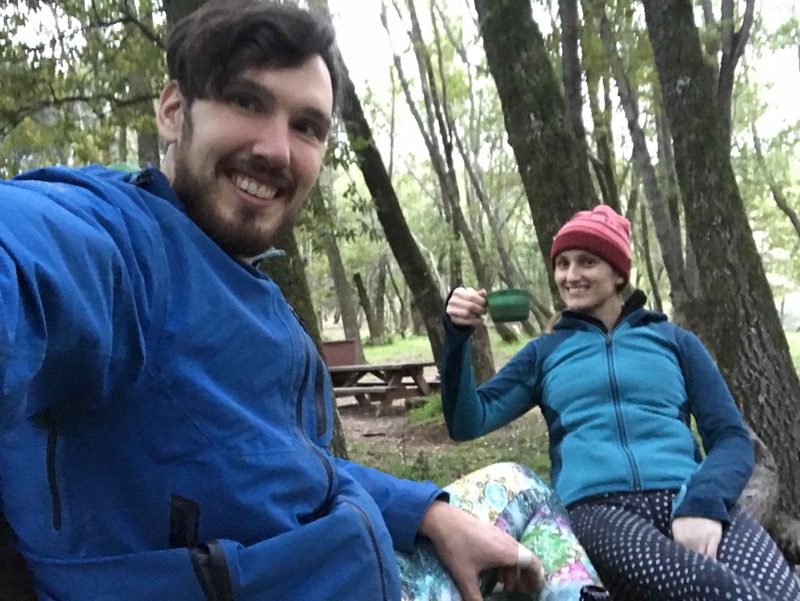 So when someone proposed a backpacking overnight it was easy to say yes. 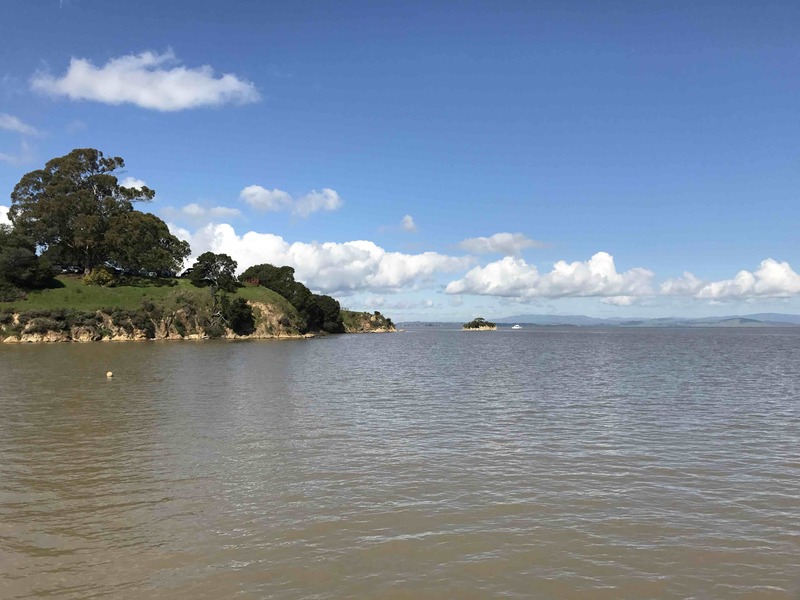 The weather had some potential for rain, but both days proved to be some of the clearest views in the bay I’ve seen in months. 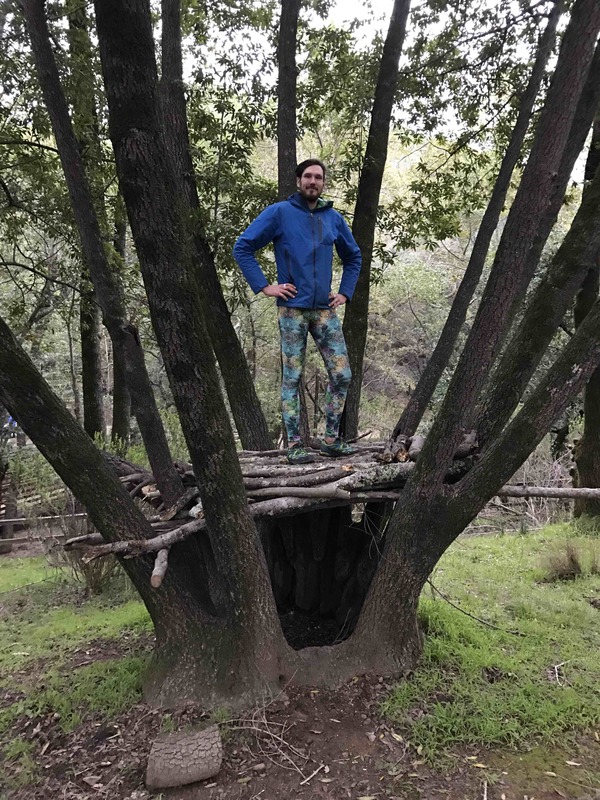 I bicycled through a tunnel and built a tree fort at China Camp so, easy to say a good weekend. A group of us started off at Embarcadero and then over the Golden Gate sporting beautiful from clean air and clear sky. 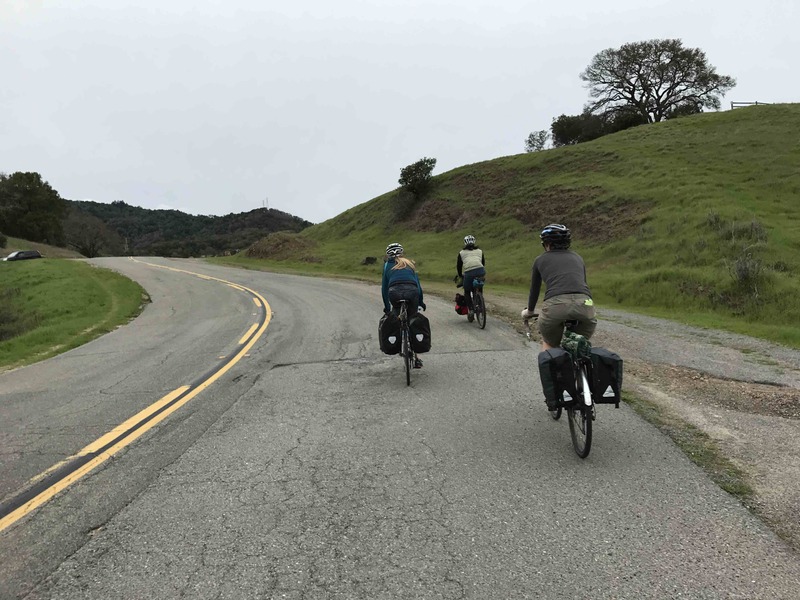 Dodging the bands of tourists on rental bikes we crossed the maroon Golden Gate bridge and descended towards Saulsalito. Making our way past a landslide as we headed towards Mill Valley. Near San Rafael we crossed a smooth, beautiful bridge over the freeway. Shortly after we reached one my highlights of the trip. 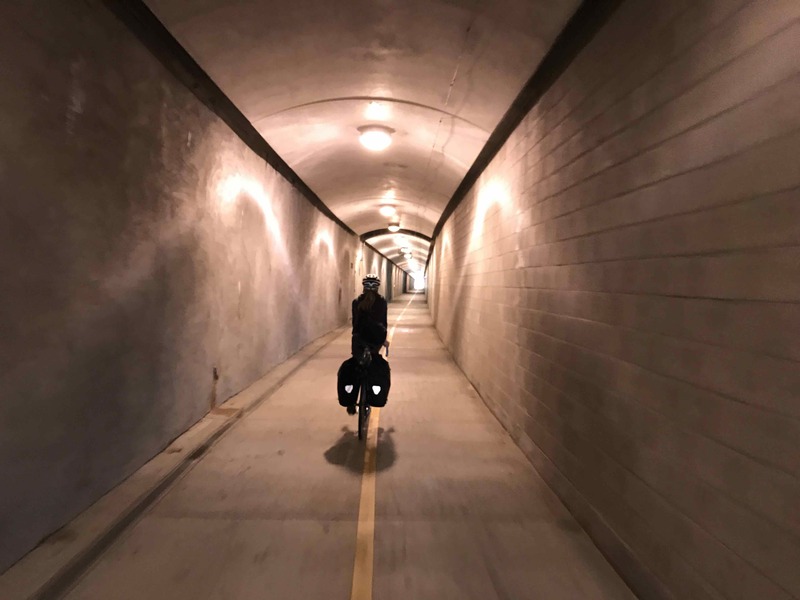 A several hundred foot pedestrian / bicycle tunnel that we hooted and whistled through, listening to our echoes as we sped through it. Exiting the tunnel we were again bicycling alongside the bay as we entered China Camp State Park. Past the visitors center where Chinese immigrants used to have a shrimp boat industry, past a small offshore island called Rat Rock and then we were at camp. Three people took off to ride some dirt trails, two others went on a hike, but Sadie and I decided to spend our last two hours of light building a fire and then a fort platform out of a fairy ring of trees near our tent. There were downed trees and limbs everywhere from the recent storms and with some engineering I was able to criss-cross and build a level platform we could lay on. 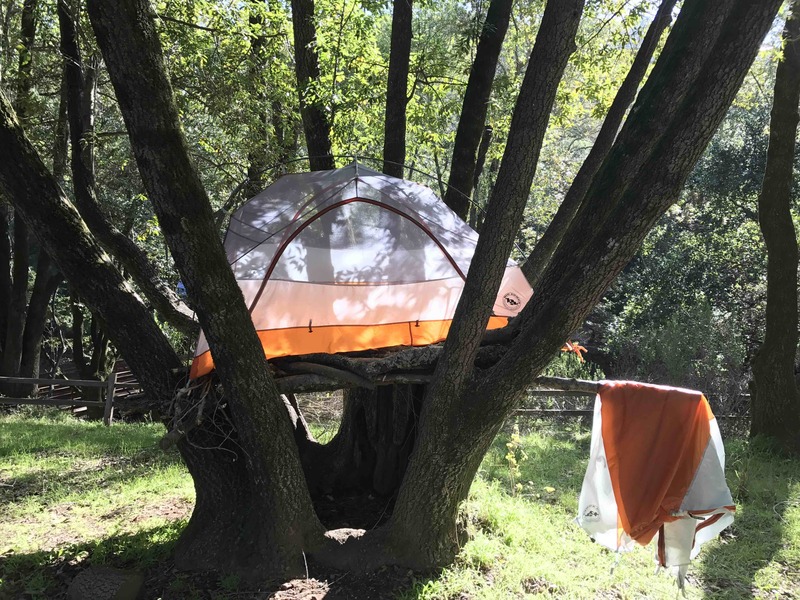 Our backs against trunks with feet outstretched on our structure we christened the fort ‘Sadie Castle’ as we sipped our Saison and gazed upward through the tree canopy. Our parties returned from their activities and as night fell we moved towards the fire like moths to share stories and dreams of mountains. I managed to convince half our group to join me for coffee in Sadie Castle after a delicious breakfast of yogurt, granola and sliced fruit. Afterwards we took a slow start back to the visitor center to check out the abandoned buildings that sported a small shrimp industry as late as the 1950s. 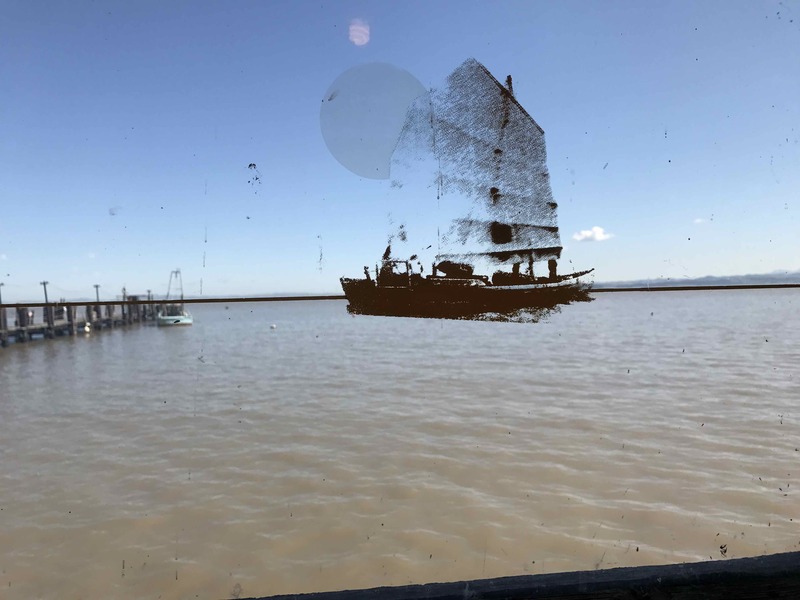 Looking out the window in the main visitors center you can overlay this graphic of a ‘junk’ (shrimp boat) out on the water. Finally Sadie and I took off on our return trip with an average wind and surprisingly chilly temperatures. Another clear day, a chocolate break halfway and burritos for dinner topped off a wonderful short trip.